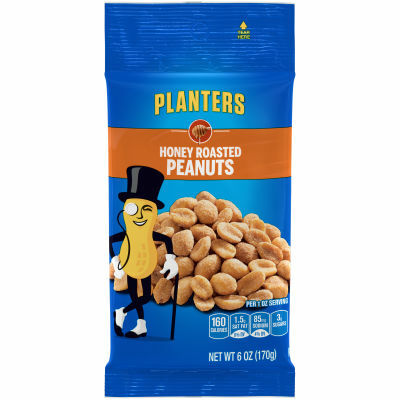 Planters golden honey roasted peanuts with have a delicate sweet flavor and a salty edge from a dash of sea salt. These peanuts are sweet with a salty edge, dry roasted and delicious taste, Planters golden honey roasted nuts are great for snacking. Enjoy the perfect balance of sweet honey and rich sea salt in every bite of this 6 oz. snack bag.